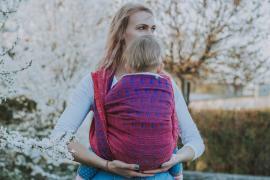 This hybrid weave baby wrap is wonderfully soft and strong, perfect for carrying newborns right through to toddlerhood. 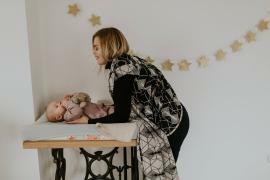 A distinctive stripped effect brings a new twist to our classic Starry Night pattern, this handmade baby wrap is woven with eco-friendly Tencel and organic cotton for a soft, shimmery fabric with a lovely malleability. The hybrid weave technique adds a density and strength making it perfect for all ages, but especially good for bigger kids and toddlers. Low impact and produced from wood pulp using a closed loop system, Tencel is a great, ethical alternative to cotton and offers silky softness, strength, and a wonderful shimmer. Our organic cotton is softer and stronger than most normal cottons, produced ethically this cotton is grown with care and without chemicals keeping the land, and farmers, healthy. 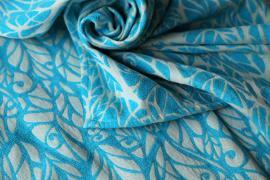 FABRIC COMPOSITION: 69% organic combed cotton, 31% Tencel, 65cm wide. Having more than one child means that you will never have enough time for all of your children who need all your attention, at the same time. Now you will have a chance to allow them to feel more of your presence thanks to our new gentle, extremely smooth, luxurious “I/O” sling. 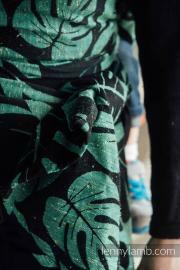 We will never have this pattern again and there are only 10 pieces of slings with it available. 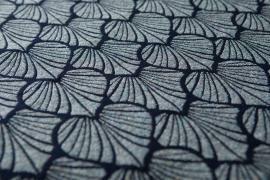 What makes it exceptionally smooth, strong and easy to wear is the sum of: composition, the weave and the pattern itself. 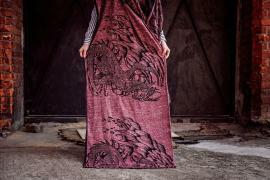 This fabric is favoured by men. The feedback we got from males was all positive. 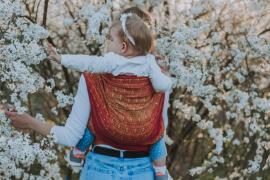 If you ever thought of introducing the father of your children into babywearing this sling could be the game changer! Seriously. Going hiking? Washing the car? DIYing? No problem! We are telling you, you will end up fighting with your man for this sling. Peruvian Pima Cotton is extremely soft, strong and simply one of the best types of cotton in the universe. 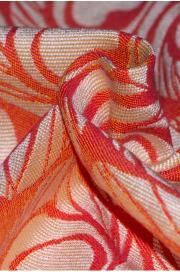 Combed cotton is a gentle, natural and durable fibre, which is not prone to fraying and tearing. Cashmere is a luxury goat wool . Feather-light and soft to touch, cashmere is a great choice for your baby's sensitive skin. 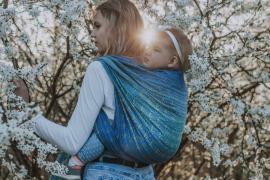 In conjunction with merino wool it makes the sling soft, smooth to touch, and adds this luxurious feel to it. Here we go with a bang! And with a snout! We give you something that we have always wanted to present, since baby one, and now we already have two! 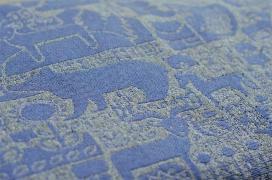 It is our long awaited and meticulously designed Snuggly Piglets sling (right in time for the Chinese Year of the Pig). Grab one now in our draw and keep your hands free for other things like the daily house chores, a cup of coffee or a warm hug with your other half! Ah! And one more thing - it is always nice to see others being inspired by our ideas. Oink! Classy, so soft, cushy, an eye-catcher. 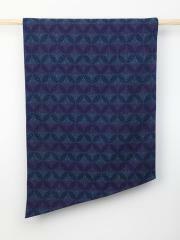 Linuschka's signature blend - finest mercerized mulesing free merino wool-silk in dark navy almost black combined with soft and grippy Japanese silk noil in grey with colorful confetti. 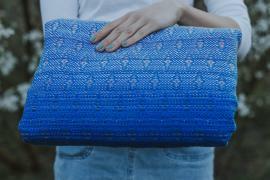 Airy and cushy pocket weave. 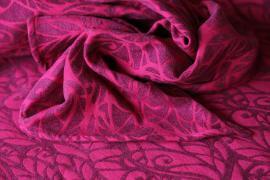 Perfect for smaller babies and the lovers of the thinner medium thick wraps.